K.S. 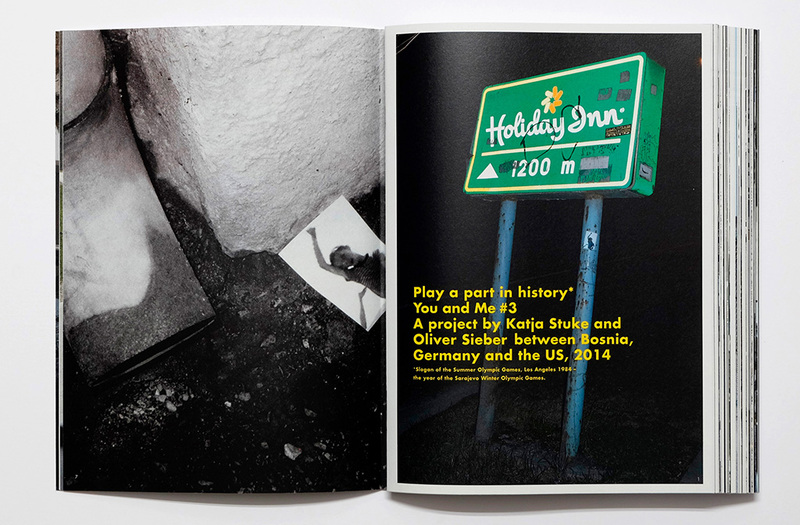 : For us these places have several connections: the trigger for »You and Me« was the story of a woman we knew back in the 90s in Düsseldorf. She came as a refugee from Bosnia to Düsseldorf and left Germany in 1999 for the US. The three countries where connected in any case due to the Bosnian war, like a mot of historic events connect countries and – what was more interesting for us – people. Finally we connected different places through our research and travel, through our personal approach to Indira’s story. 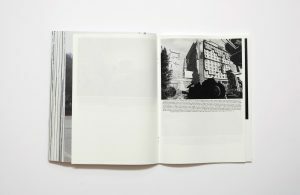 : And let’s get back to „Böhm Kobayashi“: Yes, at the beginning it was about zines and books. Over time it became more about collaboration in any way: curating, working on projects together not just juxtaposing and so on. It’s a very organic project, still growing and changing. P.D.F. : You and me, the title, is it an invitation? I ask that because this are places you are passing by, yet the impression we have of those cities and roads you photograph is very strong. We keep a memory of isolated places you are not specifically familiar with. Where is this book taking us to? Why choosing to edit a book out of those remote places? K.S. & O.S. : We like your idea of „an invitation“ very much. Primarily „You and Me“ was the name of the restaurant Indira’s family opened in Bowling Green some time after they arrived in America. We used this name as on the one hand it can refer to our relation between Indira and us, our own relation between the two of us – our different perspectives and focus – the relation between us and the beholder; and on the other hand if can refer to connections between people and countries – even in conflicts and contradictions. P.D.F: There is something intriguing in this book. It starts with a departure! 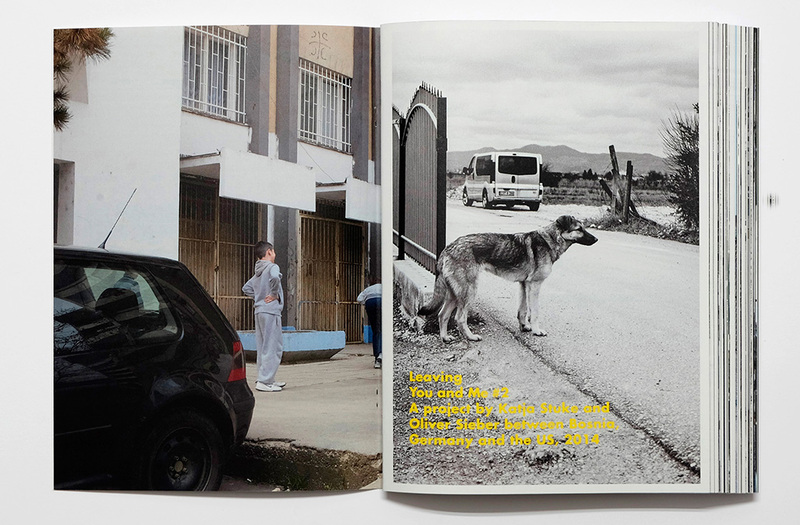 There is that image of a dog trying to cross a big avenue entitled: Leaving Tuzla | 9,10. From the beginning of that book the reader is disturbed. Are we going anywhere, why are those images of a no man’s land so powerful? It seems that we are able to get that direct experience from your trip and we end up remembering those places. It is because of the solitude they transmit? Is drifting a way of boosting lost memories? K.S. : „You and Me“ is not a documentary about a person’s life but about a general perspective on universal topics. So, yes, the starting point was Indira: he had to leave her town and country for reasons we could never really comprehend, but the concept of „leaving“ is a very universal, almost everybody knows, almost everybody has a different story to tell about leaving something or someone. The topic „Leaving“ as a starting point for a photographic project can lead to different stories, aspects and ideas. : The book contains of different chapters like „leaving“, „war“, „home“, „being a stranger“ but also topic like „music“ or „protest“. That’s all different aspects we either experienced during our work on this project or associated with certain things we saw and photographed. With a certain story, historic event or emotions in mind, you have a different perspective on the environment and people around you. You see different things and you see things differently. You approach different people. And you remember things differently; so while traveling and photographing you already create future memories. K.S. : The first chapter is titled: „Last night my neighbor and I“. It’s the title of a traditional Bosnian song – maybe a love song, I don’t know exactly. 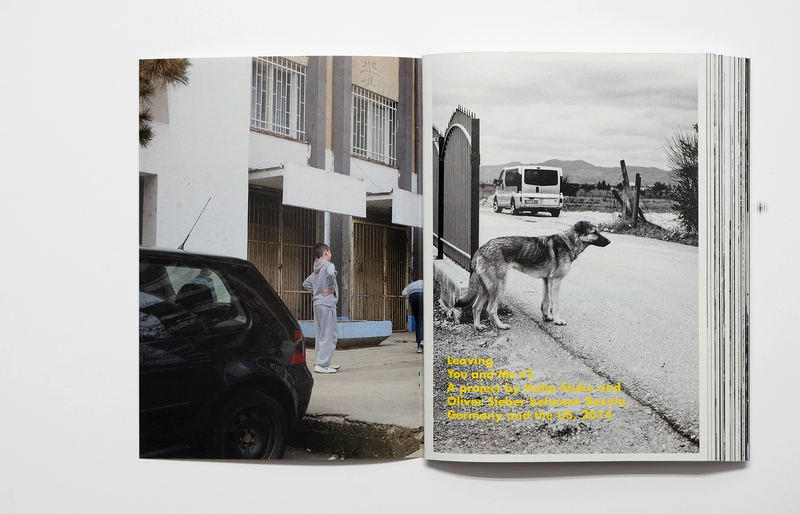 But now, knowing more about the war in Bosnia, the concept of‚neighbors‘ can become something very frightening and fearful – things getting out of balance, changing the meaning and emotions about a usually positive concept. P.D.F. : The more we look at this book the more we wonder if you are both photographers because you wanted to be nomads? I like to think that You and Me is a manifest for freedom. But what is that freedom about? The places we are looking at don’t seem particularly pleasant, the road is always uncertain. Is this what your project is about? Entering places where the photographer is drifting? K.S. : Traveling is a very pleasant side-effect of being a photographer. Traveling itself is an important inspiration, even without taking photographs. Indeed this aspect was an continuous development. Oliver’s first project „Skins, Mods, Teds»»“ started as a very local project: he took portraits of people in the Düsseldorf/Cologne area from these certain subcultures; he invited them to the studio to take large format Polaroids. : And Katja used the TV-screen to take images for her series „Supernatural»»“ – she didn’t have to leave the studio at all; she was watching the broadcasting of Olympic Games to take portraits of mostly young women in a specific moment of concentration you could only see in this way on TV. K.S. : Since a three-month residency in Osaka in 2006 traveling became more important. Oliver’s follow-up project „J_Subs»»“ continued the portrait series in a different way: this time we had to go to concerts and live houses to take the portraits. He also started a series called „Character Thieves»»“ about the international youth culture of cosplayers. From there it became important to travel – to find different people from different countries with this mutual interest. But even now we are working on projects for which we don’t necessarily need to travel be open to new influences – we work back home i Düsseldorf in the studio. 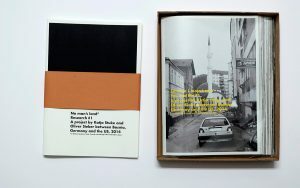 The current work for example, „Komori“, which we produced on the occasion of a an exhibition called „Equivalents»»“, grew out of „You and Me“: the printing house in Leipzig used a Komori machine to print the spreads of the book. As the color dries very fast the printer re-used the first sheets again and again (to adjust the machine and the colors) and accidentally produced wonderful black pages. We took some of them with us and created a new body of work out of this material. P.D.F. : There are many chapters in you book. It is almost like a punk novel. On the thirst chapter you write down this words: Play a part in history. The image behind those letters shows a Holiday Inn advertising covered with black graffiti. I guess your photographs are doing the same, re-writing your own version of history. 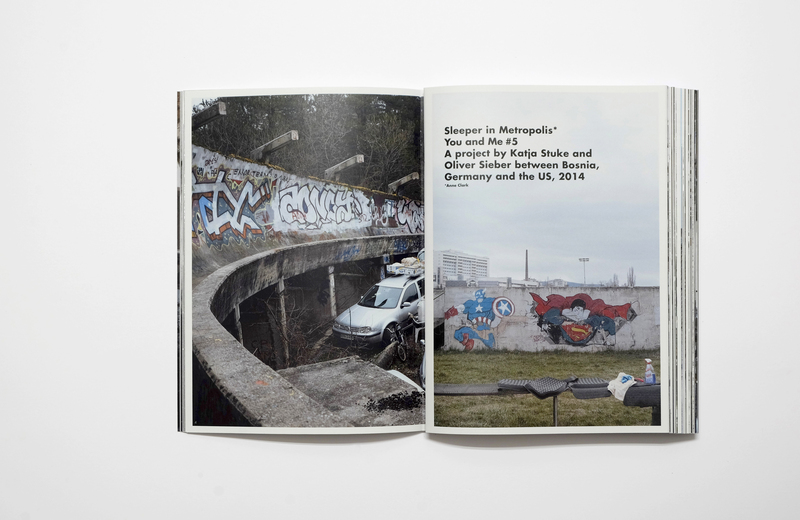 In almost every image there are traces of vandalism, cars in the middle of foggy roads, people going somewhere… Are you leaving something behind when you visit those places or are you just keeping the record of a road trip around Germany, Bosnia and the US? K.S. : The headline of the third chapter „Play a part in History“ was the old claim of Summer Olympic Games in LA 1984. The same year the winter games took place in Sarajevo. Maybe we can talk about this later, but the games where somehow very important for the city and the people of Sarajevo and Yugoslavia in that time (and still are…). The Holiday Inn on the other hand was very important during the siege of Sarajevo during the Bosnian war. All international journalists stayed there (and also Susan Sontag, when she directed „Waiting for Godot“ at the National Theatre of Sarajevo during the siege. You also see a small sticker with a boy waving goodbye. We produced the sticker, using a screenshot from Michael Winterbottom’s film „Welcome to Sarajevo»»“. O.S. : Katja used this method of leaving stickers behind and taking photographs of the stickers in a body of work before; it’s called „Cry Minami»»”. We thought this strategy of leaving a comment on the street and interfere into the image before taking the photographs would be very appropriate for this work. If you look close you find stickers in several images throughout the whole book. 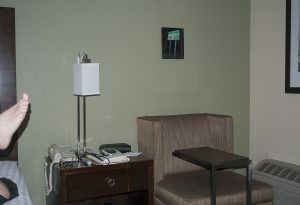 We also left a framed image of this Holiday Inn sign in a hotel room we booked in a Holiday Inn in St. Louis. K.S. : Thanks for the link to ‚a punk novel‘. For us music is always very important and i became very interesting also for this project during our travels. For example: in a lot of bars in Sarajevo they played (not our favorite) music from the 80s. We had the impression that this was related to the war: the music from ‚before the war‘, remembering the good times, keeping good memories with the music. So we expanded our research to music, movies and novels from this time. : At the end of the book you find 5 chapters of research and background material. It’s not a scientific way of researching but a very personal chain of associations starting from the historic facts of the war. Parts of these researches, quotes and headlines, we used as headlines for the publication, we also used it in several form in exhibitions»». We will show a two-channel video-projection of images and text at the upcoming Krakow Photography Festival. P.D.F. : Maybe this text of Aleksandar Hemon would help us out. In that text you included in the book he says: “History, of course, is nothing if not an endless entanglement of various strains, wherein individual lives are caught up or lost”. The Bosnian writer is talking about a crime case of a Bosnian killed in America. There is a link between both territories. America being the « el dorado » where the war refugees where going to escape from death. Ironic, isn’t it? You end up dying in the country where you were looking for protection. Where you familiar with those stories before visiting the US and Bosnia? K.S. : Aleksandar Hemon is a very interesting Bosnian-American author who lives in Chicago for almost 30 years now. He has a interesting perspective on America and Europe in his very personal way. We also passed Memphis on our way from Chicago to Florida (where we wanted to meet Indira). In from of the Lorraine Motel, where Martin Luther King was killed in 1968, we met Jaqueline Smith, an activist and young Civil Rights Movement member back then. Due to this encounter of another woman if was essential for us to relate these two aspects: of Human Rights and Civil Rights. And we where very glad that Aleksandar Hemon made this same connection. K.S. 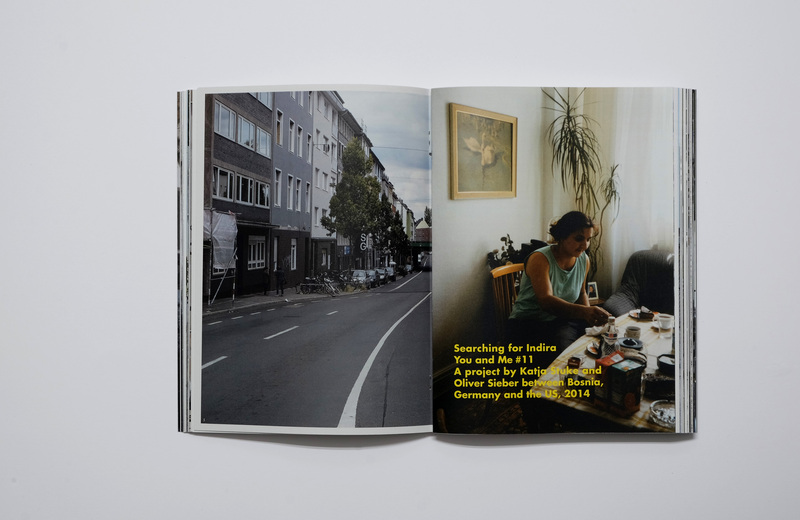 : The awareness of political aspects of landscapes, of historic events and also the understanding of why people live in which place in the present became quite clear after we took all images and came back to Düsseldorf to edit the images back in our studio. P.D.F: In another chapter you published there is this phrase saying: I forgot to remember to forget. I guess that is what photography is all about. What is most striking about this is that as soon as we have read those words we see images of Sarajevo Mountains. No other place could have more traces of war. It’s as if we were hearing Chris Isaak singing “Somebody is crying” when visiting such places. The territory is crying out its own past. What was your experience in Bosnia-Herzegovina? K.S. : Like we said before we had the idea of the music from ‚before or after the war‘. In Sarajevo the war is still very present: it shows on several facades of buildings and it’s still big topic when talking to people (especially when you talk to older people, to people who stayed in Sarajevo during the siege, but also to people, who came back after the war…). 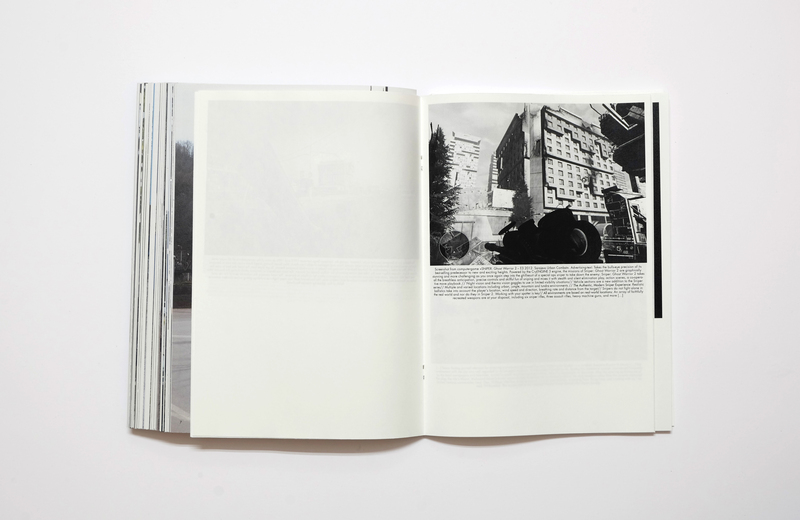 The images form the chapter „I forgot to remember to forget“ show the mountains around Sarajevo, the former Olympic sites, drawn from the war. Just before going to Bosnia we read in a German newspaper (the Berlin based „die tageszeitung”) about young Bosnian rappers. One of them was „Frenkie“. He came to Germany with his parents during the war; they went back to Tuzla, when the war was over. He is a very kind and interesting person, concerned with the future of his generation and his country. From meeting with him we could change the perspective from the past to the present and future. And we where very aware of the graffiti in the street of Sarajevo. We used a line from one of his songs as a headline for the chapter about Tuzla and the protests in winter 2014 – „A State of Crisis“. O.S. : Chris Isaak’s music includes this sadness you are talking about as much as the landscape we travelled through. We felt it a lot during our three weeks in Bosnia. In an way the poverty of the country preserves the memory of history and war. P.D.F. : Music has been a good partner for you in those long road trips I guess…. Is there any specific song that would resume that experience that you would like to share? K.S. : For quite a while we listened to Frenkie’s music a lot, we specially liked his song „Gori»»“ – maybe because of the video. In Sarajevo an intern from the Goethe Institut introduced us the „ Dubioza Kolektiv“. You really should know their song „U.S.A.»»“. She also brought us the the Kino Bosna, a former cinema where people meet, eat and sing together: we head some very sad ‚Sevdah‘, Bosnian folk music. P.D.F: Alexander Hemon talks about a person called Indira you have met with. She lives in Florida, her « new home ». It seems that your book is a book about exile, leaving home to look for a better place. For the Bosnian writer: “The story of her remarkable, heroic, previously invisible life cannot be disentangled from the history of Bosnia, of Germany, and of the United States, nor from Oliver and Katja’s story […]. Hence nothing is irrelevant; nothing is invisible. The result is something that could be called, to use Roland Barthes’s phrase, a history of looking”. So, you are making history in the end! Is the book an invitation for us to “experience history” and see the violence and the weight of the past behind those rather quiet and solitary images? K.S. : We are very happy about this part of his text. Maybe we are not making history but we are connecting different historic events. ; from our personal perspective in our very personal, almost emotional way. O.S. : With Indiras story in our mind we found a lot of connections and visited places we where had not planned of expected: military airbases, parades of ‚veterans of foreign wars‘, small towns and places, small museums, historic sites and so on. And like Aleksandar writes: nothing was irrelevant; everything is connected. P.D.F. : So, this is not a road trip book only…, is it? In your previous work, we were confronted with two kinds of reactions: the images of people on the streets protesting, and those of inexpressive people, common persons living through all kinds of censorship and control without showing any reactions. Did you had to solve that out in this project too? Aren’t this anonymous people, facing their everyday lives the ones we ought to look at? What else can you do besides, making them and making them part of your story? And it’s different from the work you are talking about, as it a collaborative work. You can’t compare to works we did before. O.S. : But as we develop each work out of the thoughts and ideas we had before, there appear different aspects from series we have been working on before, with a new focus and emphasis. The desire to find places and people we feel comfortable with: that was a very important aspect of „Imaginary Club»»“; while working on „You and Me” we where happy to find record- or books-shops we would always visit… And the aspect of protest is something which came from „Nationalfeiertag»»“ so we resumed this topic immediately when we realized the protests in Sarajevo and Tuzla in winter 2014. P.D.F. 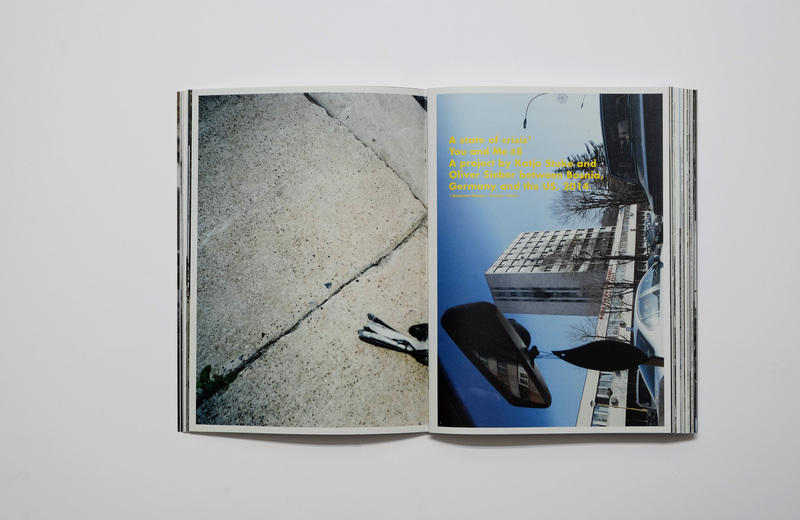 : The book is telling a lot of stories that you are editing to make them become more universal. Tell us more about the editing process… Is the sleeper in metropolis an allegory of the photographer or is it simply the sleeping car entering the cities on a dead hour? K.S. 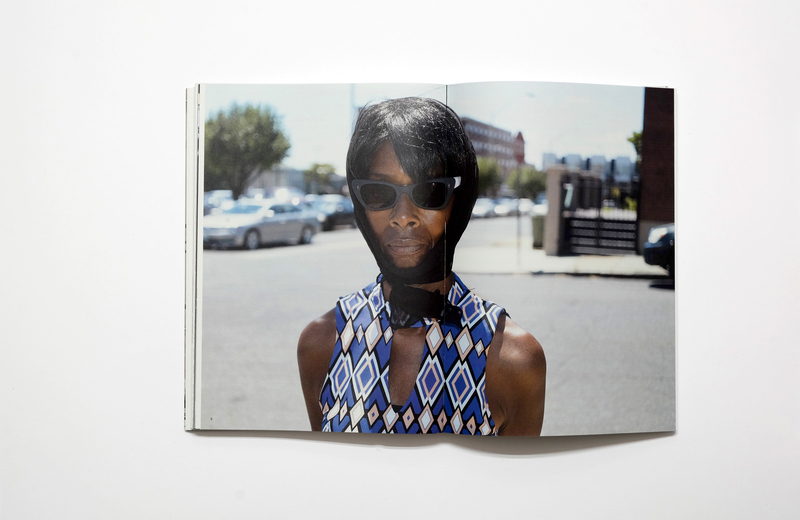 : We edited the images differently for the exhibition and book. On the wall we chose to edit in a very personal associative way: we created a ,mind map’, starting from the portraits in the central line of the installation. For the publication we chose a more structured way to edit, so we came up with the different chapters. And we edited the images again for the recent projections»». O.S. 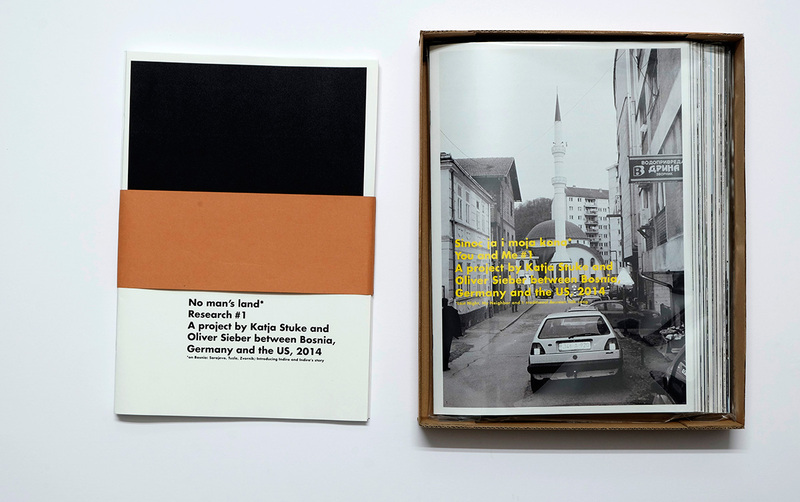 : At the beginning we only produced 5 artists books (plus 5 exhibition copies) of the book. The idea was to include it as a central part of the exhibition: visitors could either view the images on the wall or could read the zine-chapters. „Sleeper in Metropolis” is first of all another title of a chapter. Anne Clark’s song (which by the way was released in 1984, the year of the winter games in Sarajevo) is also a very personal memory of the atmosphere of that time, maybe a metaphor of wishes and hopes and fears. And it’s a very literal association to Superman’s Metropolis. Due to several murals of American superheroes we found in Sarajevo, we discussed the hopes and expectation of people in moments of disasters and crisis, the significance of superheroes in these times. And it’s also a very literal connection between Sarajevo and the town of Metropolis in Illinois we passed on our way to Bowling Green. 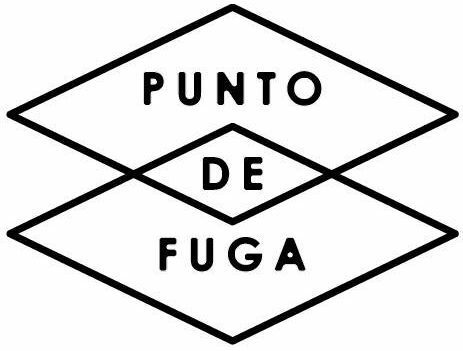 P.D.F. : There are many examples in cinema where the road trip ends up in delirious. I think about Stranger Than Paradise, Mulholland Drive, Gerry and many other movies that could have inspired you. Where is that photographic language coming from? What filmmakers or photographers have shaped that vision you have? K.S. : Yes, I would say we are influenced in different ways and by different arts. Music is one, and cinema and movies are definitely another. I couldn’t name a specific photographer but I think we can’t deny that certain german and american photographs shaped our visual language. 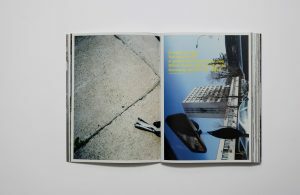 What’s also very important for us is the juxtaposition of image and text, the mutual influence of photography and words. O.S. : A very current influence for example is Masao Adachi’s „AKA Serial Killer“ from 1969. We didn’t know it before we started working on „You and Me“ but it’s important for our current work „Japanese Lesson»»“ and it definitely links these two projects.